As you can tell from the title of this post, I am a SiteGround girl and this post is all about why I chose Siteground . This Siteground review is my top reasons for my choice. We have been together happily now for 3 years and I have not once thought of breaking up with them. However, many of my friends “were” with Bluehost so I am basing my opinions here on my experience and theirs. Everywhere you look all you see is Bluehost this and Bluehost that. From the heavy hitters to the brand new bloggers Bluehost is it. Before we go any further, let’s get real for a second. A year ago when bloggers everywhere were having problems with Bluehost, all of us over at Siteground were doing just fine. I had friends that were in a panic with crashed sites and emails that were left unanswered. I realize that times were stressful and busy when things went down, but unanswered emails from panicked bloggers are not cool in my book. I have never had a problem with SiteGround that was left unresolved for longer than an hour. When I first started out I had no idea what a web hosting company even was let alone which one to choose. If you are new to blogging this is one of those decisions that matter, so do your homework and make the right choice for you. A web hosting company is who you hire to “look after” your domain. It is the nuts and bolts behind the pretty picture. 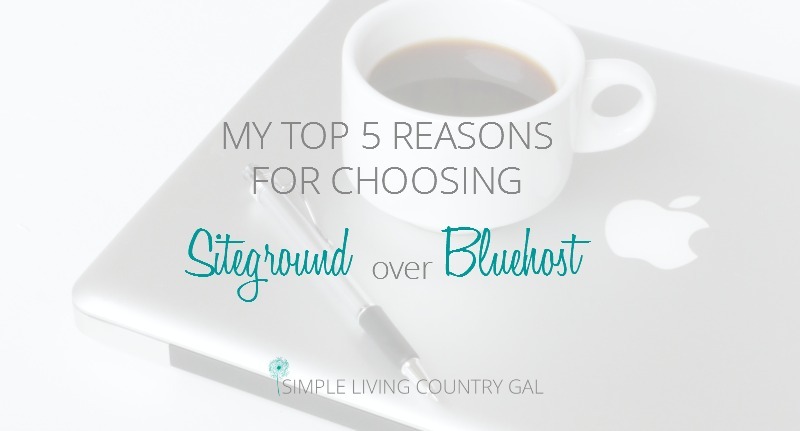 When I started my blog, most of the people around me used Bluehost. A good friend of mine, however, suggested SiteGround. Knowing nothing about either company, I did some research and found both to have their good and their bad points. Listen, everyone has their top list. You know those things that matter to them. Like price, customer service, or ease of use. This is my deciding list. The exact reasons why I chose Siteground. And even though it may not be the exact list for you, it might just give you enough insight to help to make your decision easier. There are many things we as bloggers need to know how to do. Unfortunately, I am not one of those bloggers. I really need to have my hand held and things spelled out exactly, step by step. SiteGround has helped me again and again with basic and simple tasks. Rather than sending me off to read an article on my own, they will either walk me through the process or do it for me if asked. That alone is worth the monthly fee as far as I am concerned. Wasted time is wasted money! No problem is too small and they will hold my hand until I am comfortable enough to do it on my own. Best of all they are there 24 hours a day 7 days a week. Even though they do have a toll free number, I prefer their chat. I like having a printout of everything so if I am faced with the problem again I can refer back to my notes and fix things on my own. Reason #2 – Stellar Speed. Next, you can’t beat the speed. My site loads pretty quick even with all plugins, all the bells and all the whistles I have on it. I give all that credit to SiteGround. They have really fast response times and when tested they are one of the fastest. I know this is a big complaint I hear quite often with other hosting companies. I have left sites before because of my impatience waiting for things to load. Head this problem off at the pass and choose a company with reliable load times. Reason #3 – Weekly Backups. Another deciding factor for me was weekly backups. Even though I have a plugin on my blog for backups, knowing that SiteGround does them as well is a huge plus for me. Hey, I work hard on my blog and I don’t just want one backup, but several and in different spots. That way I know my content is protected. Always. Reason #4 – Affordable and Competitive Prices. There are some things I consider worth paying more for and web hosting is one of those things. If you are a newer blogger I would suggest their start-up package which I believe is the same if not a bit cheaper than other companies. Reason #5 – Switching was Easy. Finally, when you do decide to make the move they will help you do it every step of the way. Rather than bore you with a lengthy tutorial, all you need to do is visit SiteGround and let them know you are ready to make the switch. They will walk you through the process and stay with you until the end. Remember, stellar customer service kids! Even if you have signed up with someone simply because it was a cheap option and now you are finding they are no longer a good fit, don’t worry. If you are not happy with your host, I highly suggest you do some research. Cheap is not always best and I completely agree you get what you pay for. I also believe Siteground is a much better platform, especially for the new blogger. I am definitely not a computer ninja so customer service is what decides things for me from the start and one of the main reasons I chose Siteground. Based on that alone SiteGround in my honest opinion is the winner. Knowing that at I can talk to a real person on my time schedule is a game changer for me. If you do not have a blog yet, you can read my guide on how to start a blog. This article will walk you through everything (including Siteground’s setup) so you can get those first steps done without the overwhelm. 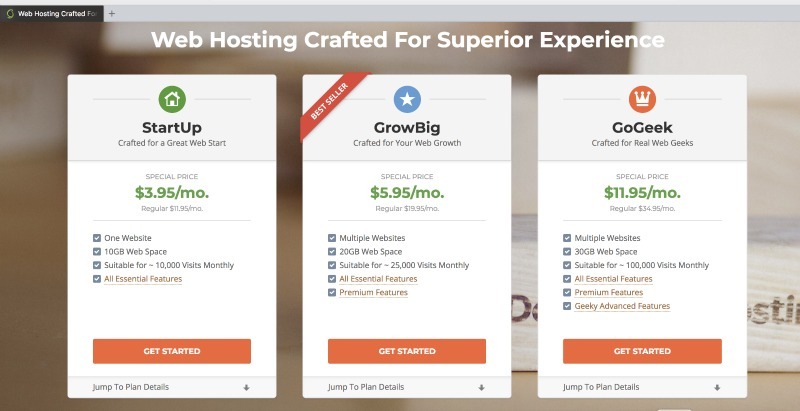 Did you find this Siteground review helpful? If so, I would love to hear from you!